For attaching and fixing vines. 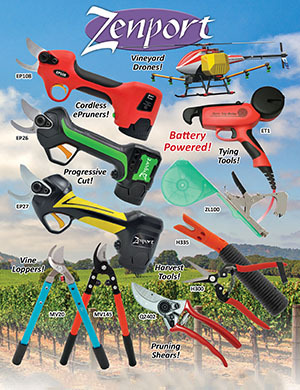 Hog ring type pliers instantly secure vine to trellis wire as quick and easy as you can squeeze the handle. Only one hand needed to dispense staples. Lightweight wire opens as vines grow. Zenport® ZJ18 Ring Pliers (18mm-0.709") Multi-Purpose Binding Machine. Shipped Direct From Manufacturer. 18mm-0.709 Staples (Compatible With Duratool). Zenport Lifetime Guarantee. Multi-Purpose Binding Machine for fence etc.